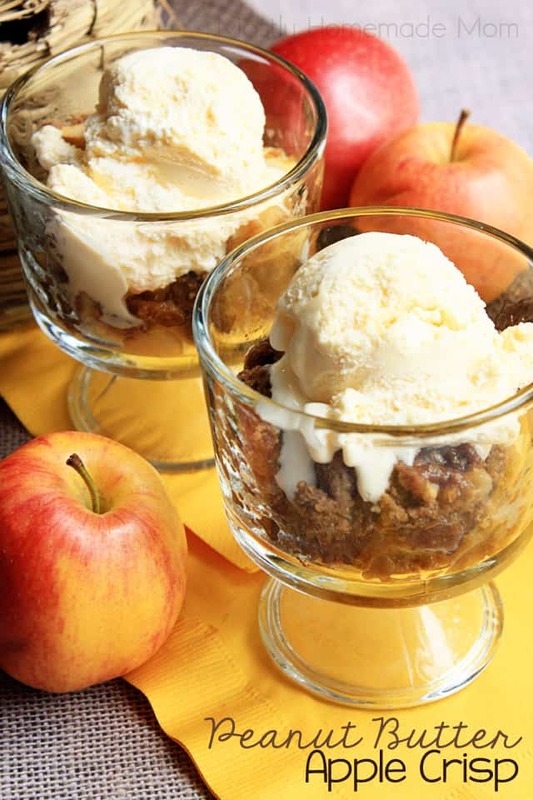 Thin sliced apples topped with slightly crunchy peanut butter, brown sugar, cinnamon, and butter and baked in the oven – the perfect dessert topping to vanilla ice cream! Tonight is Trick or Treat night here in our town and to say these boys are excited is the understatement of the year! I know, I know it’s weird that Trick or Treating around here is not held on actual Halloween night. Believe me, I think it’s weird, too! Apparently in our counties it’s typically held the Thursday night before Halloween. Maybe to try and ward off crazy teens who would normally participate in mischief night? Who knows?! It’s funny though, we live in the middle of farm country right now, but growing up in Philadelphia we ALWAYS Trick or Treated on Halloween, no matter what day of the week it was. And honestly, the worst thing I remember from mischief night were eggs thrown at car windows and on the sidewalks the next morning. There are actually grocery stores in our area now that are refusing to sell eggs to young adults now through the weekend. Ha! I always like to have a special drink or dessert on hand to serve when our family comes over to see the kids in their costumes on Halloween. 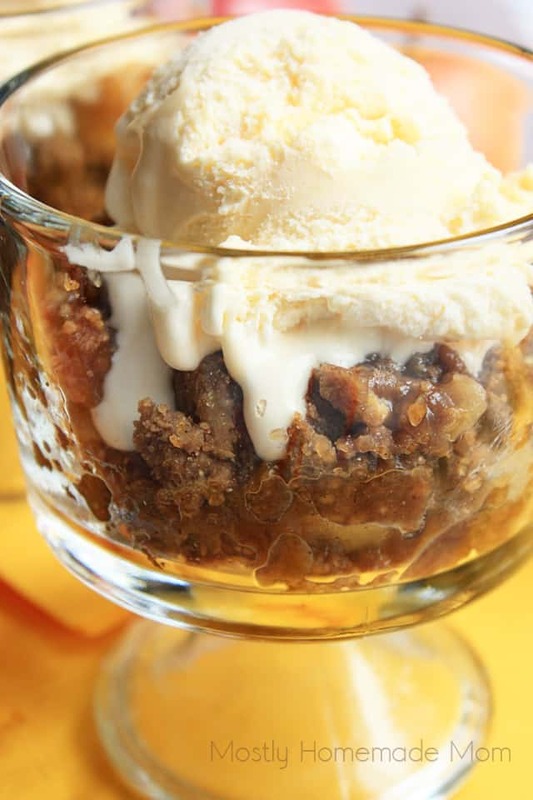 This Peanut Butter Apple Crisp is the perfect dessert! 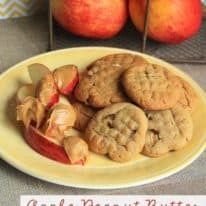 The sweet apples and spices combined with the slightly crunchy texture of Peter Pan Simply Ground Peanut Butter… oh, my, YUM! Make up a pan or two of it, have ice cream ready in the fridge, and guests can serve themselves when they’re ready. 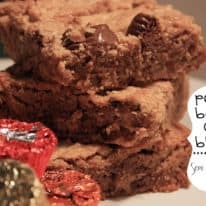 Which will be in moments from them stepping in your house and smelling the peanut buttery goodness, I’m sure of it! 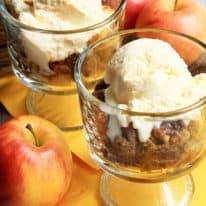 Thin sliced apples topped with slightly crunchy peanut butter, brown sugar, cinnamon, and butter and baked in the oven - the perfect dessert topping to vanilla ice cream! Spray the bottom of a 9 x 13 baking dish well. Spread apples in dish evenly. In a large mixing bowl, stir together flour, brown sugar, cinnamon, and nutmeg. Blend in butter and peanut butter with a pastry blender or two knives until it's a streusel-like consistency. Sprinkle evenly over apples. Bake at 350 degrees for 40 - 45 minutes or until apples are tender. Allow to cool 15 minutes. 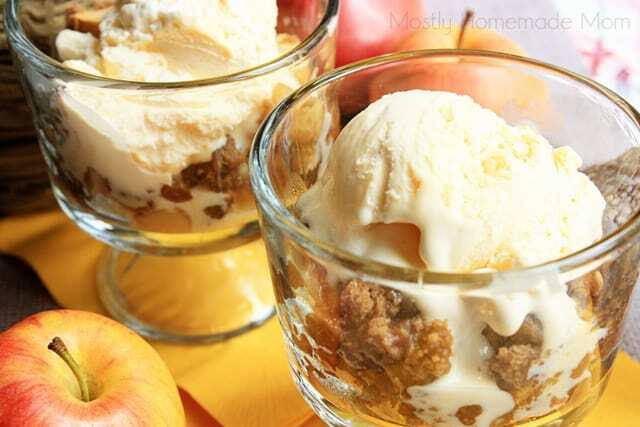 Serve topped with vanilla ice cream. Oh MAN I wish you could smell this right now – it’s SO good! 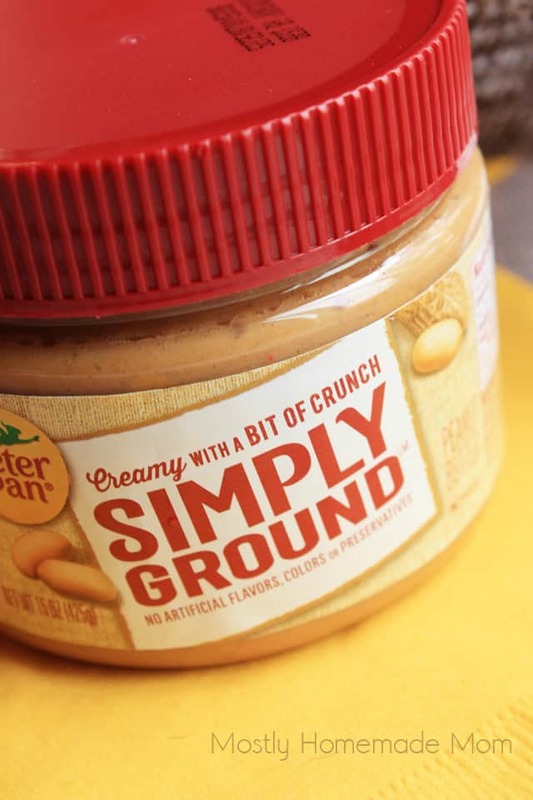 I’m seriously in love with this new Peter Pan Simply Ground Peanut Butter – perfectly creamy with a bit of crunch. Absolutely perfect for baking or just dipping directly in the jar! And of course I love that there are no artificial colors, flavors, or preservatives – plus, no need to stir before eating! Of course it’s perfect with classic PB&J as it won’t tear the bread when spreading. 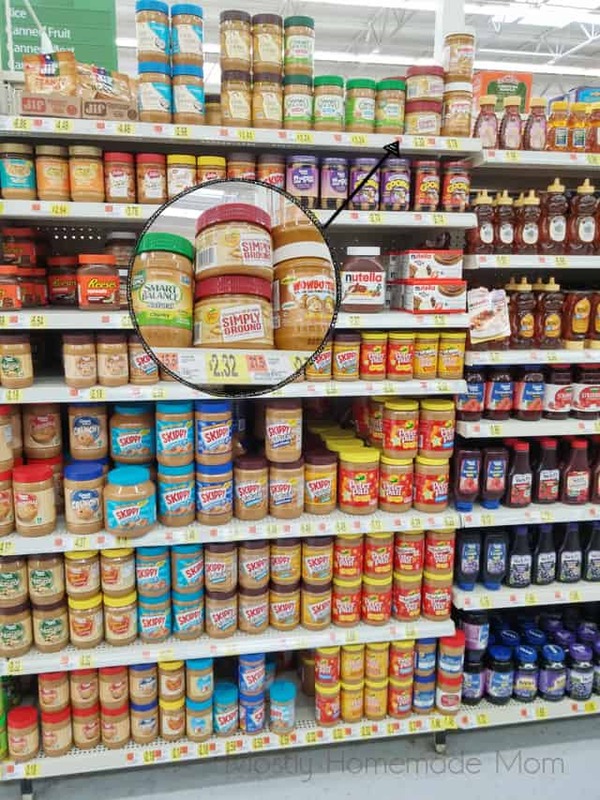 Easy to find in the peanut butter aisle at Walmart, too! 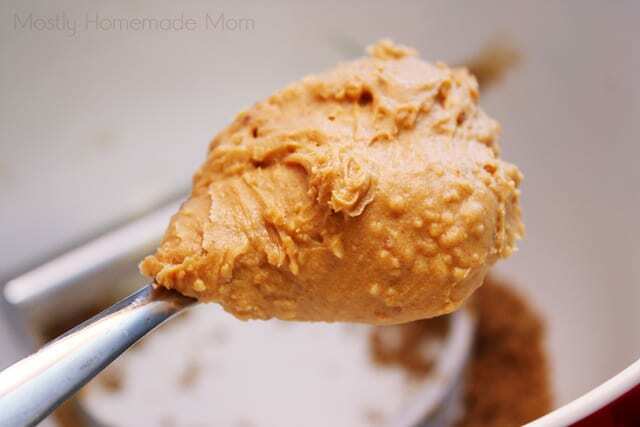 What peanut butter flavor fits your personality? 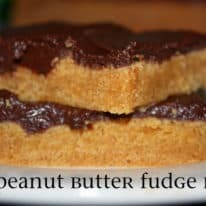 Take the fun quiz here and you’ll also get a coupon and access to more peanut butter recipes! Click here for a direct link to the coupon as well.